The long awaited opening of Torrance’s newest production brewery, Cosmic Brewery, home of Cosmic Ales, is now a reality as they opened their tasting room to the public this past weekend. I only had a short window of opportunity to visit on Saturday evening but for making a last minute announcement on Friday that they would be open Saturday, the place was packed. As you can see by my photos, as I watched the build-out of the brewery I never got any photos of the future tasting room. Owner Christopher Briles always kept that close to the vest and he did not want anyone to see it until it was ready. When it was revealed Saturday one had to admit, the cosmic theme is pretty cool. Last night the Torrance Planning Commission met and one of the items on the agenda was to hear a report prepared by the Community Development Department which was to discuss the current state of the craft breweries in Torrance. The report included discussion on what the current procedures are to open a brewery, what the Torrance Municipal Code says about breweries in Torrance, why so many breweries are opting to open in Torrance and what affect the influx of breweries has had on the crime rate in Torrance. In the audience I saw Laurie Porter from Smog City Brewing, Henry Nguyen from Monkish Brewing, and Joel Elliott from Strand Brewing Company. 40 Taps of South Bay Craft! If you follow this site with any regularity you may recall that a few weeks ago I visited Flights Beer Bar in Hawthorne for the first time. To say that I was impressed would be an understatement and I believe I got that message across in the article that I wrote. A couple days after writing the article I received an email from Flights owner Jerry Jamgotchian suggesting that they would like to throw a private party for Craft Beer Guy. While I was definitely flattered, several of the local craft breweries had just had a birthday party for me a couple days before so I suggested that I would rather have a party that showcased all the breweries that had made the South Bay the craft beer destination that is has become. After speaking with Jerry and his manager/beer buyer Marc Dacal it was decided that they would let me curate a 40 tap, tap takeover featuring 10 production breweries that were based in the South Bay. 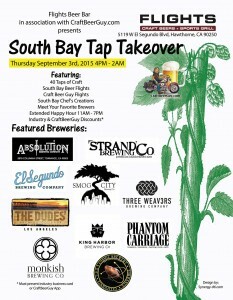 That’s right, 40 taps of South Bay craft from 10 South Bay breweries. 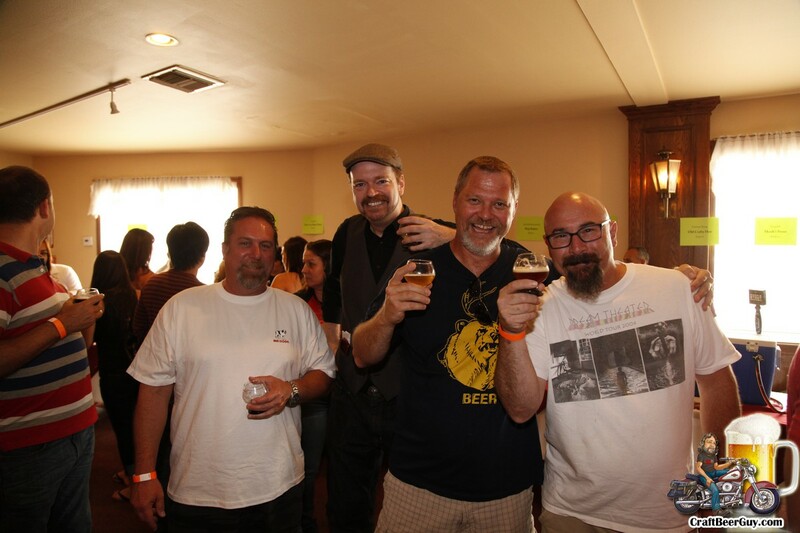 On Sunday afternoon, Rock & Brews held their 4th Annual Local Craft Beer Fest at their Rock & Brews Garden on Main in El Segundo. There were 15 breweries pouring 30 beers as well as food and a game or two to keep you occupied; but most people seemed content to enjoy the shade in what was a very hot afternoon at the beach. To be honest, there were fewer kids and dogs than last year which cut down of the carnival atmosphere that was experienced last year. I suspect the lower attendance was due in part to the sweltering heat and the fact that Main Street was blocked off for construction, at least in the beginning. The breweries in attendance were El Segundo Brewing Company, Ohana Brewing Company, The Dudes’ Brewing Company, King Harbor Brewing Company, Strand Brewing Company, Monkish Brewing Company, Smog City Brewing Company, Angel City Brewery, The Brewery at Abigaile, Absolution Brewing Company, Congregation Ale House, Bootlegger’s Brewery, Cosmic Ales, Hangar 24 Craft Brewery and Golden Road Brewery. Also in attendance were Bowser Beer’s Dirty Dog Squad and Popcornopolis Gourmet Popcorn‎, who was giving away samples of their gourmet popcorn as well as their brand new, hop infused popcorn! This is still in the development stage so keep an eye out for it as they plan on having popcorn pairings with craft beer within the next few months. 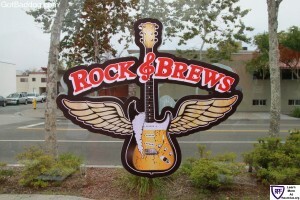 On Sunday September 14, Rock & Brews in El Segundo will hold their Rock & Brews 4th Annual Local Craft Beer Fest from noon until 5:00 PM. This is a truly family friendly event with 15 local breweries pouring beer for the adults; and plenty of carnival games, popcorn, ice cream, sodas and Rock & Brews food for the kids and designated drivers. I attended this event last year and saw nothing but smiling faces; from the beer drinkers to the kids, even the dogs seemed to be grinning from ear to ear. 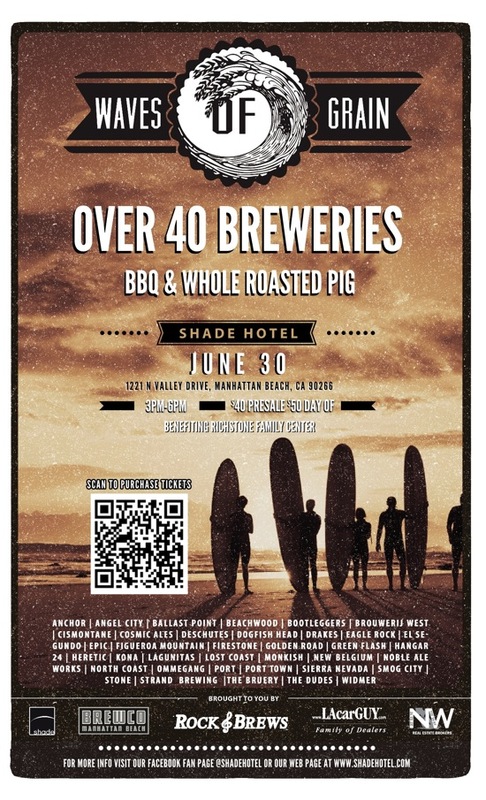 The craft breweries that will be represented include El Segundo Brewing, Monkish Brewing, Smog City Brewing, Golden Road Brewing, Eagle Rock Brewing, The Dudes’ Brewing, Strand Brewing, Angel City Brewing, Cosmic Ales, Bootlegger’s Brewery, The Brewery at Abigaile, King Harbor Brewing, Congregation Ale House, Absolution Brewing and Ohana Brewing Company. Sunday afternoon, Rock & Brews El Segundo held their 3rd Annual Local Craft Beer Festival which featured many of LA’s finest craft brewers as well as carnival games for the kids and some of the adults. 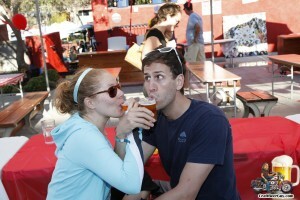 This was my first time attending the Local Craft Beer Festival and I had a blast. While I am readily familiar with many of the beers brewed by our local brewers, a couple of my favorite microbreweries brought out new brews that I had not tried yet and at least one brewer, El Segundo Brewing Company, used the event to introduce their latest addition to their ever expanding list of craft beers. 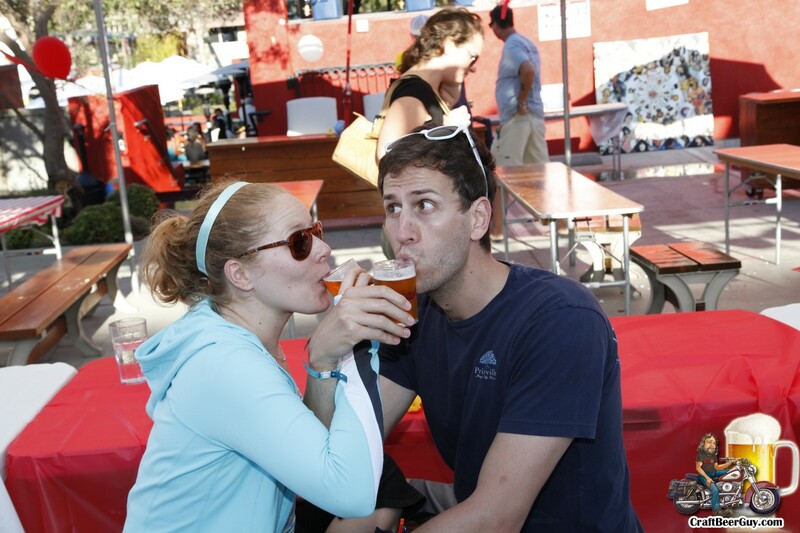 It was a beautiful sunny day by the beach with families, dogs and craft beer aficionados enjoying each other’s company with lots of delicious food available and since it was held at Rock & Brews, the wafting sounds of rock and roll in the background. The breweries in attendance included El Segundo Brewing Company, Strand Brewing Company, Eagle Rock Brewing, Smog City Brewing, Monkish Brewing Company, The Bruery, The Brewery at Abigaile, Hangar 24 Craft Brewery, Golden Road Brewing, Port Town Brewing, Ohana Brewing Company, Bootlegger’s Brewery, The Dudes’ Brewing Company, Cosmic Ales, Tap It Brewing, Cismontane Brewing Company, Nobel Ale Works, Angel City Brewery and Venice Beach Beer Company. 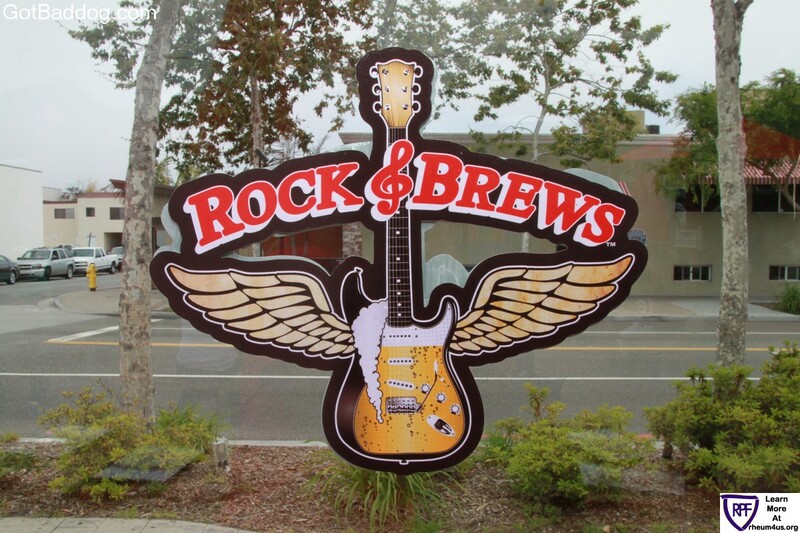 This Sunday, September 15, 2013, Rock & Brews El Segundo will hold their 3rd Annual Local Craft Beer Festival from noon to 5:00 PM. Unlike most beer festivals I have attended, this one is family friendly and includes carnival type games such as a dunk tank and high-striker and many others. Win a game and win a prize. In addition to the beer and games, price of admission includes food tickets for tri-tip, pulled pork or barbecue chicken tacos. Many of the best craft brewers Los Angeles has to offer will be pouring at this event, including El Segundo Brewing Company, Strand Brewing Company, Eagle Rock Brewing, Smog City Brewing, Monkish Brewing Company, The Bruery, The Brewery at Abigaile, Hangar 24 Craft Brewery, Golden Road Brewing, Port Town Brewing, Ohana Brewing Company, Bootlegger’s Brewery, The Dudes’ Brewing Company, Cosmic Ales, Tap It Brewing, Cismontane Brewing Company, Nobel Ale Works and Venice Beach Brewing. This should be a good time, and you do not even need to get a sitter for the kids. Great beer, food, music and games all rolled into one great event. The price is $50.00 for adult [drinking] admission and $10 for children and designated drivers. Adult tickets include admission, commemorative glassware, 10-4 oz pours, and unlimited games. Non-drinking admission ticket includes sodas, cotton candy, popcorn, and unlimited games. Both passes come with three food tickets; additional food and drink can be purchased if you need more. You can purchase tickets online at http://www.rockandbrews.eventbrite.com/. I hope to see you there. Cheers! 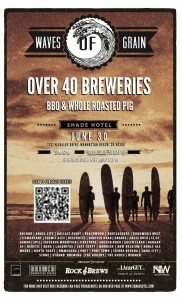 The second annual Waves of Grain Beerfest will be held this Sunday, June 30 at the Shade Hotel in Manhattan Beach. This is a fundraiser benefiting the Richstone Family Center whose efforts are concentrated on preventing and treating child abuse. This second annual beer festival will feature more than 40 craft brewers and a barbecue with a whole roasted pig. 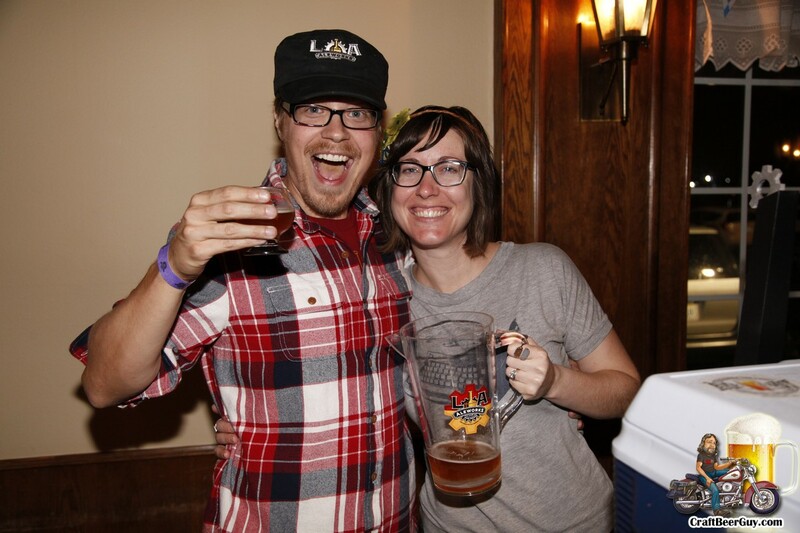 Among the breweries attending are Anchor Brewing, Beachwood, Ballast Point, Cosmic Ales, El Segundo Brewing, Monkish, Strand Brewing, Smog City, Stone, Dogfish Head and The Dudes’ Brewing. I went to this event last year and had an absolute ball. Considering last year had 25 breweries represented and this year has 40; that sounds like a whole lot more fun. You can find my photos from last year’s event at http://www.gotbaddog.com/waves-of-grain-beerfest-2012/. Waves of Grain is Sunday, June 30, 2013 from 3-6 PM. You can purchase tickets online ahead of time for $40 each (there is a $3.19 fee per order, not per ticket); or you can buy them at the door for $50. There is no guarantee there will be tickets at the door though, there is limited space so I highly advise buying your tickets ahead of time. The Shade Hotel is located at 1221 N Valley Dr Manhattan Beach, CA 90266. I hope to see you there; be sure to smile if you see my camera pointed at you.